Disney+ revealed the names of its three upcoming series centered on Marvel Cinematic Universe characters during Disney’s investor day Thursday. 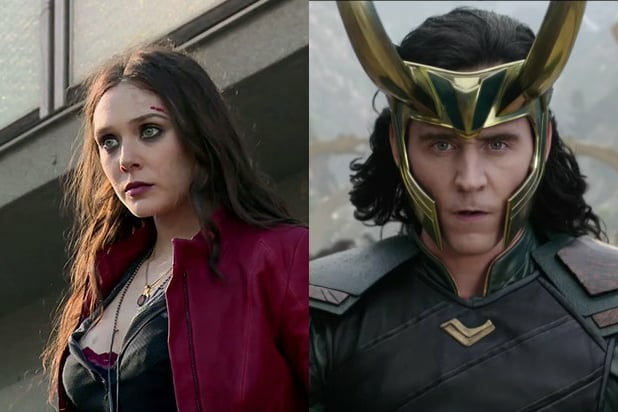 The Scarlet Witch (Elizabeth Olsen) and Vision (Paul Bettany) show will be titled “WandaVision,” the Tom Hiddleston-led Loki series is aptly called, “Loki,” and “The Falcon and The Winter Soldier” is the name of the project starring Anthony Mackie and Sebastian Stan, who are returning as Falcon and Bucky Barnes, respectively. Marvel Studios president Kevin Feige said during the presentation the shows will include plot points that have “ramifications” throughout the MCU. The Hawkeye series starring Jeremy Renner — which TheWrap reported is currently in the works for the platform but has not been formally announced — was not mentioned during the presentation. The crown jewel of Disney’s 2019 investor day was its forthcoming branded, streaming service that will house the Marvel spinoff series — and many other shows. During the presentation, it was confirmed Disney+ will be an ad-free platform, just like its main competitor, Netflix. Along with being the home of titles from Disney brands including Marvel, Pixar, LucasFilm and its own vault, Disney+ will feature a number of original productions. Disney also unveiled the price for the ad-free OTT play. Disney+ will cost $6.99 a month and $69.99 a year. The service debuts domestically on Nov. 12, and will roll out to other markets beginning in 2020. As TheWrap reported earlier Thursday, a “Love, Simon” followup series is also development at the streaming service.